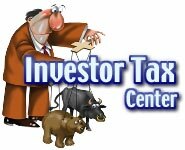 We may not turn you into a better investor, but we'll help you pay less taxes on your investments. Mutual Fund Terminology - Any distribution of money you receive from a mutual fund is usually a capital gain distribution, an exempt interest dividend, nontaxable return of capital, or an ordinary dividend. Investment Seminars: deductibility of travel expenses - Investors cannot deduct costs they incur when attending conventions, seminars, or similar meetings at which they obtain information that helps them plot strategies. This calculator makes calculating yields easy. What is the present value of the future amount? Use this calculator to compute the monthly deposit amount needed to reach a saving goal.